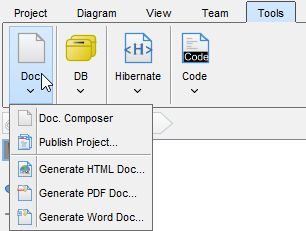 How to document in VP ER model to model transformation in most efficient way? Part of data governance is not only modeling entities, but in data ware house you have multiple layers, which do kind of data transformation/normalization. Is there any best way how to document these kind of processes on attribute entity level? I am quite stuck in this area about how to utilize VP in best way to document this model lineage transition. Thank you for any response. I am now evaluating VP for this task before obtaining license. So I found answer myself, I think this paper demonstrates in quite robust way how to achieve ETL transformation design in pure UML way and I like that approach. Is there any way how to do this? So you see there is every higher level Class attribute represented as Class with stereotype <>, so we can continue on mapping low granularity. In order to working with Visual Paradigm, developer must import the jar into the development classpaths. 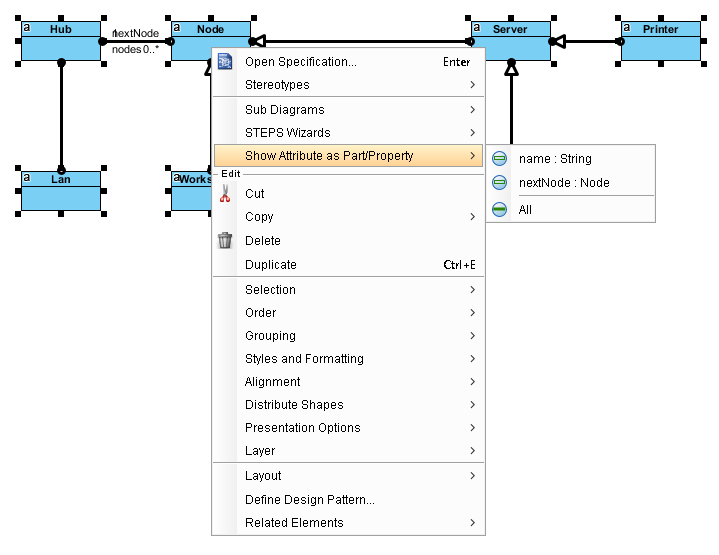 In this page, you can learn how to implement plugin in Visual Paradigm. But I don’t know how to work with drag and drop actions in the diagram to achieve my goal, any kind of code snippets would be useful. Thank you for any hints. With this supported VP can become truly Data Mapping Tool. and shows the mapping between the Part/Property shapes? 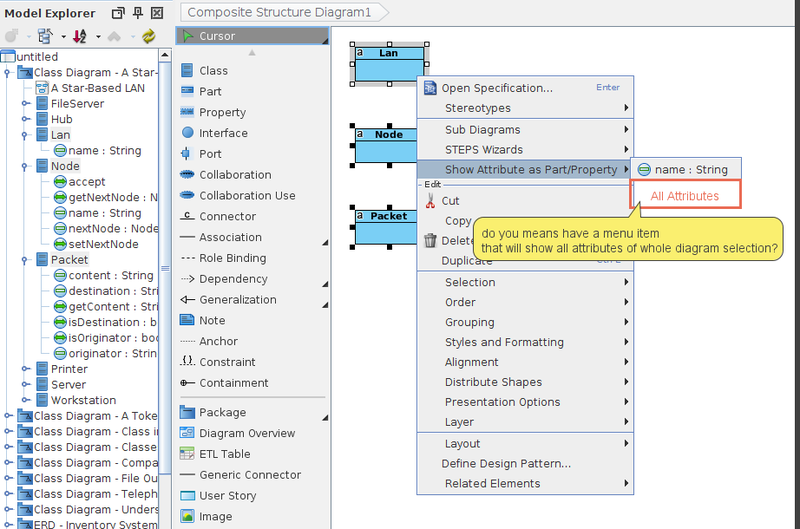 PS: The model elements of Class & Attributes are shared in Class Diagram & Composite Structure Diagram. It is unnecessary to ‘synchronize’ the class models. Thanks a lot, going to investigate by hand myself! I have entities with over hundred of attributes, it will be handy if I can simply select ALL attributes to show on the class, otherwise its very long management task. Exactly, also I should be able to make the attributes being aligned vertically/horizontally within Class. Your enhancement request “show all attributes” is passed to our engineer team. We will notify you once it is supported. 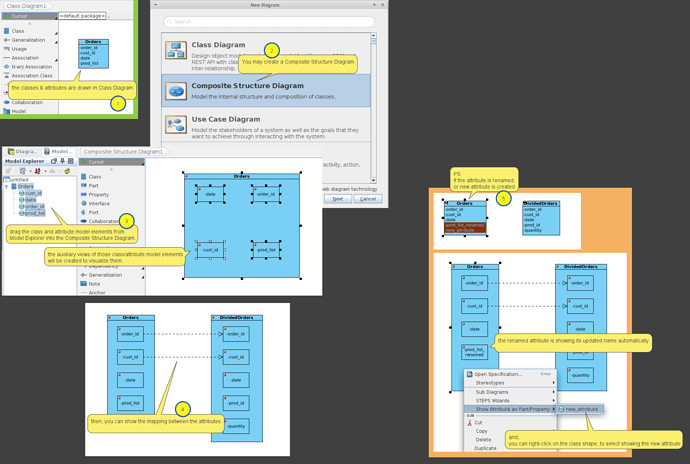 Unfortunately, align attributes vertically / horizontally within Class is not yet supported. I would like to let you know our engineers had deployed a new build which supported “show all attributes”. Please update the software to latest patch build to get this fix. Thx a lot guys! This will simplify a lot my POC for using VP as base for documenting the data integration flows. Ultimately I would like to use VP as source for generating the Huawei Cloud data integration pipeline.